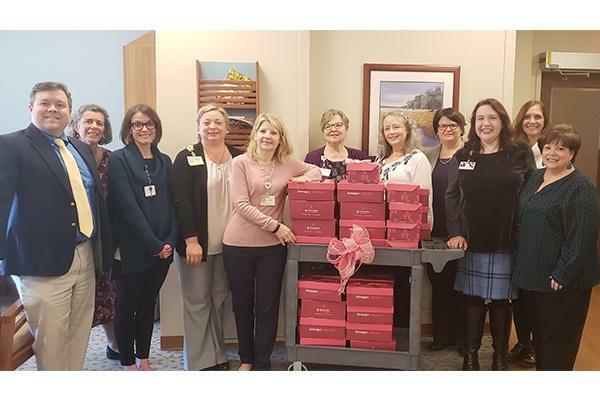 Fredericksburg, VA, December 4th, 2018 – Mary Washington and Medical Imaging of Fredericksburg staff partnered together to offer encouragement and support for patients undergoing chemotherapy treatment for breast cancer. During the months of October and November the “We > Cancer” campaign demonstrated the power of uniting as a community in the fight against breast cancer. 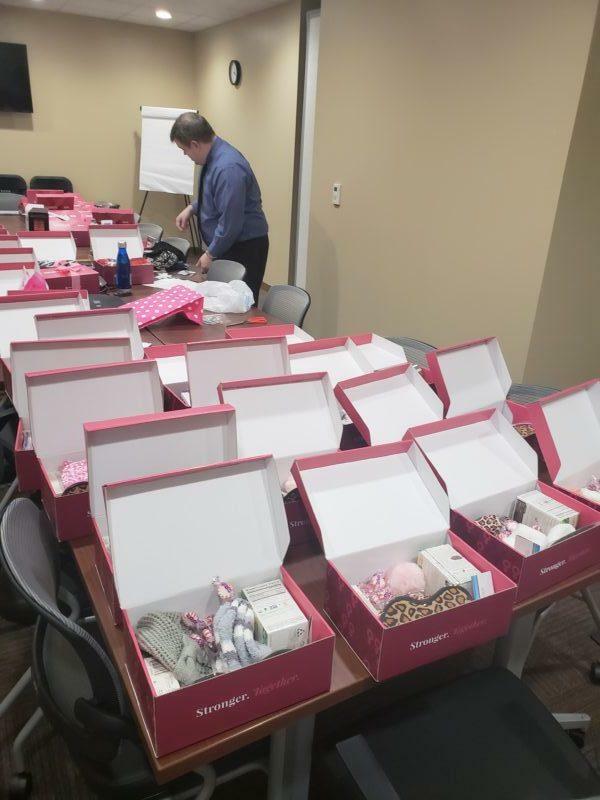 The care packages were filled with items such as lip balm, organic teas, socks, BPA-free water bottles, and gift cards, as well as a note of encouragement for patients. Shoeboxes were filled and hand-delivered by Mary Washington and MIF to patients battling breast cancer. Medical Imaging of Fredericksburg (MIF) was founded in 1985 with the purpose of providing patients with the same level of care and expertise they would receive at the hospital, in a convenient outpatient setting. Over 30 years later, MIF continues to offer high-value services, flexible scheduling options, and access to highly trained Radiologists right in the Greater Fredericksburg community. With a location in Fredericksburg and another in North Stafford, MIF’s Imaging Center for Women provides 3D mammograms and other services in a spa-like atmosphere. MIF is the only facility in the Commonwealth of Virginia to receive the Diagnostic Imaging Center of Excellence designation. MIF operates with the core belief that each and every patient deserves to be treated with the highest level of dignity, compassion, and care.